"Daud" and "Dawood" redirect here. For other uses, see Daud (disambiguation) and Dawood (disambiguation). Listed by Islamic name and Biblical name. The six marked with a * are considered major prophets. David (Arabic: داؤد‎, translit. Dā’ūd‎, pronounced [daːʔuːd] Da’ud, or Arabic: داوود‎, translit. Dāwūd‎, Dawud), (circa 1043 BC - 937 BC? 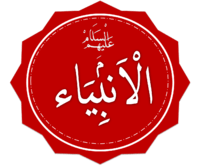 ), is recognized in Islam as a Nabi (Arabic: نَـبِي‎‎, Prophet), Rasul (Arabic: رَسُـوْل‎‎, Messenger), and Lawgiver of God, and as a righteous Malik (Arabic: مَـلِـك‎‎, King) of the United Kingdom of Israel, which itself is revered in Islam. He similarly figures prominently in the Torah and the Old Testament of the Christian Bible. David is perhaps most famous in Islam for defeating the Philistine giant Jalut (Arabic: جـالـوت‎‎, Goliath), when he was a soldier in the army of King Tālūt (Arabic: طـالـوت‎‎, Saul or Gideon). His genealogy goes back through Judah, the son of Ya‘qub (Arabic: يـعـقـوب‎‎, Jacob), to Ibrahim (Arabic: إبـراهـيـم‎‎, Abraham). The figure of David is of extreme importance in Islam because he was one of the few prophets to receive a named revealed book. It is said in the Qur’an that the Zabur, the Biblical Psalms, were given to David. David's son, Sulayman (Arabic: سـلـيـمـان‎‎, Solomon), took over the task of prophecy after his death, and he was made the subsequent King of Israel. The Judeo-Christian and Islamic views of David, however, differ in some aspects. Muslims generally do not accept the sins of adultery and murder attributed to David in the Hebrew Bible, as they feel that prophets – in their belief the utmost chosen and elect of God – would never commit such grave crimes. The story of Bathsheba and Uriah is rejected. The following is David's narrative in the Qur’an, fleshed out through details given in exegesis or tafsir. King Talut set forth with his armies to fight the Philistines. There were, however, many doubtful unbelievers in his army. Thus, God made the king perform a test to see which of his warriors were loyal and which were not. They stopped by a flowing stream, and Talut (who appears to be Gideon in this case) warned his people that whoever drank of the stream's water would not go forward with the army. Even in the small band of warriors that remained faithful to God, there were some that were appalled by the sheer size of the opposing Philistine army, and were startled when they saw the size and strength of their commander, the giant Goliath. But there were a very small band of men that kept their belief in God and were determined to fight against all odds. Among these believing men was David. According to Islamic tradition, Goliath challenged any soldier from Talut's army to single combat, as was the custom of battle in those days. The men were frightened, and no one had enough courage to volunteer. The king offered the hand of his daughter in marriage to the man who would fight Goliath, but even this offer did not change the silence among his soldiers. Then, to everyone's surprise, a youth stepped forward. A roar of laughter echoed from the enemy's side, and even Talut's soldiers shook their heads. The young man was David, from the city of Bethlehem. David at this point was a mere youth. He did not have much of a standing even in the Israelite camp. Although he was not as experienced in warfare as some of his contemporaries, his strong faith in God exalted him above any companion or enemy, and his mastery of the slingshot led to the defeat of Goliath. David used his slingshot to aim the pebble at the mocking Goliath. The pebble shot from the whirling sling with the speed of an arrow and hit Goliath's head with great force. Blood gushed out, and Goliath fell to the ground, lifeless, before he even had a chance to draw his sword. When the rest of his men saw their mighty hero slain they ran for their lives. By the will of God they defeated them, and David killed Goliath, and Allah gave him kingship and wisdom, and taught him whatsoever He pleased. If God did not make men deter one another this earth would indeed be depraved. But gracious is God to the people of the world. We favoured David with excellence, (and commanded): "O mountains and birds, glorify the greatness of God with him." And We made iron pliable for him. And the levied birds. They were all obedient to him. David would retire to his prayer chamber at various times in the day, to express his devotion to God. One day, however, his privacy was invaded by two men, who had obtained access into his palace by climbing over a wall. David was frightened, by this supposed apparition. However, the two men soon told the king that they were brothers who had come to ask him to resolve an argument between them. One of the brothers was more grieved than the other. He told David that his brother had ninety-nine ewes while he only had one. He went on to describe his brother's greed and told David that his brother wanted his ewe as well. The circumstances seemed mysterious to David, as he was puzzled at why the unjust brother would risk climbing into his palace and then not take any part in the argument. Nonetheless, he took the two men literally and began preaching about the falsehood and fraud of men, who should be content with what they have, but who always envy others. David sided with the one ewe man because he was the only one talking. Although David, in his mind, thought he was doing the right thing, he soon realized that this whole vision was a test to see his wisdom and he fell down in prostration, praising God. The two men were malāʾikah (Arabic: مـلائـكـة‎‎, angels) sent by God to test David. David did not hear both sides to the story, and this was his mistake. Your Lord knows whoever is in the heavens and the earth. We exalted some of the prophets over the others; and to David We gave the Book of Psalms. The term Zabur is the Arabic equivalent of the Hebrew Zimra, meaning "song/music." It, along with Zamir ("song") and Mizmor ("Psalm"), is a derivative of Zamar, meaning "sing", "sing praise", "make music". Thus, David is also usually attributed the gifts of music and song. David is one of the few Islamic Prophets who received Kingship as well. While other prophets preached during the reign of kings, David, in his time, was the king. Thus, he received an extremely large task, of making sure that the people of Israel were not only held in check spiritually but that the country itself remained strong as well. His place as both leader and prophet is revered by all Muslims as one of extremely high rank. The figure of David, together with that of his prophetic son, Solomon, are iconic of people who ruled justly over their land. And We gave him Isaac and Jacob and guided them, as We had guided Noah before them, and of his descendants, David and Solomon and Job and Joseph and Moses and Aaron. Thus We reward those who are upright and do good. When the Caliph ‘Umar visited Jerusalem, the Patriarch Sophronius accompanied him on the Temple Mount, while he searched for the Mihrab Dawud (David's prayer-niche) to perform a prayer. Later commentators identified this site with the Tower of David. In a hadith, the prayer and fasting of David is mentioned to be dear to God. Narrated Abdullah bin 'Amr bin Al-'As: The Apostle of Allah told me, "The most beloved prayer to Allah is that of David and the most beloved fasts to Allah are those of David. He used to sleep for half of the night and then pray for one third of the night and again sleep for its sixth part and used to fast on alternate days." ↑ The Truth of Life Archived April 23, 2010, at the Wayback Machine. 1 2 Judges 7:4-7: "And the LORD said unto Gideon, The people are yet too many; bring them down unto the water, and I will try them for thee there: and it shall be, that of whom I say unto thee, This shall go with thee, the same shall go with thee; and of whomsoever I say unto thee, This shall not go with thee, the same shall not go. So he brought down the people unto the water: and the LORD said unto Gideon, Every one that lappeth of the water with his tongue, as a dog lappeth, him shalt thou set by himself; likewise every one that boweth down upon his knees to drink. And the number of them that lapped, putting their hand to their mouth, were three hundred men: but all the rest of the people bowed down upon their knees to drink water. And the LORD said unto Gideon, By the three hundred men that lapped will I save you, and deliver the Midianites into thine hand: and let all the other people go every man unto his place."